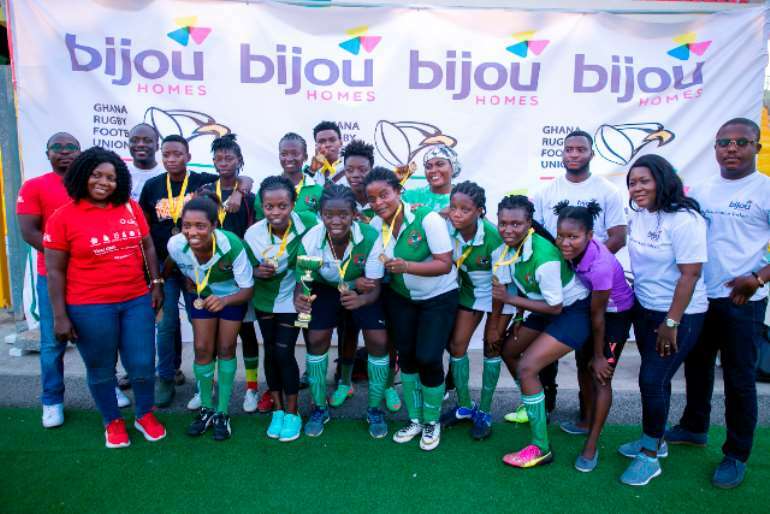 Conquerors Rugby Team clinched gold to emerge champions of both the men and women matches at the just ended national finals of the Ghana Rugby Football Championship held at the Accra Sports Stadium. They beat Team Hurricane in a challenging but thrilling match by 21points to 3 points. 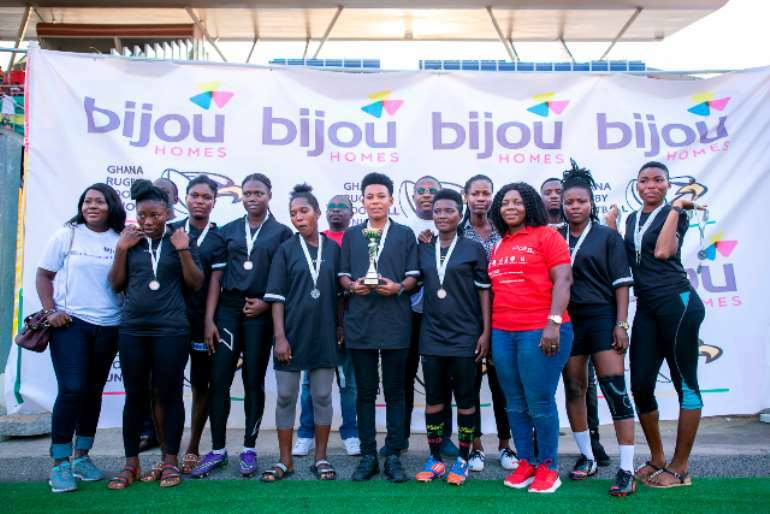 Proud sponsors of the 2019 games, Bijou Homes, was impressed by the level of professionalism, team spirit and determination exhibited by all participants. 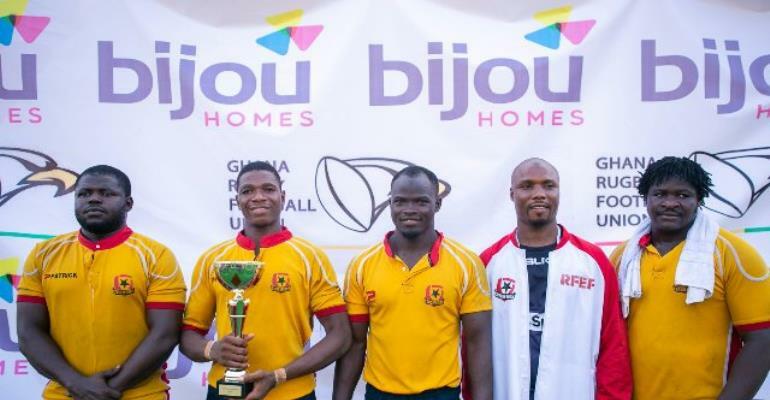 In his remarks, the President of the Ghana Rugby Football Union (GRFU), Mr Herbert Mensah used the opportunity to congratulate the winners, participants, and Bijou Homes for their contribution and expressed the hope that other corporate bodies in Ghana would follow suit. The Ghana Rugby Football Union (GRFU), is a full member of World Rugby and continues to push the responsibility for the development and management of Rugby in Ghana. Bijou Homes is a housing development situated at Appolonia City in the suburb of Oyibi, Accra offering a range of 1 and 2 bedroom (expandable to 3) multi-functional, modern homes for sale and rent. The location offers superior urban infrastructure, housing and places of work, 24/7 security, communal amenities and more. Bijou Homes continues to be a prime choice for young Ghanaian professionals, and expats seeking high-quality affordable homes.